Las Vegas, NV 89113 (702) 896-7616 View Lunch Menu! View Dinner Menu! Henderson, NV 89052 (702) 675-4487 View Lunch Menu! View Dinner Menu! 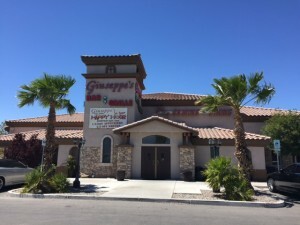 Here at Giuseppe’s Bar & Grill, a Las Vegas Italian Restaurant, you’ll experience the best dining that Vegas has to offer. Our Italian restaurant provides our customers with one of a kind Italian and American foods and we also serve as the ultimate sports bar. After a day of gambling on the Vegas strip or a tiring day at the office, stop by for some great food or to catch the current sports game on one of our many T.V.’s. Our spacious restaurant is open 24 hours and the food is always hot and good no matter what time you choose to dine. You’ll want nothing more than a great restaurant to relax in and that’s just what we provide here at Giuseppe’s Bar & Grill. 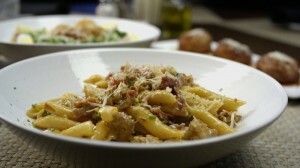 With the convenience of stopping in at any time of the day or night, we are your number one 24 hour Italian restaurant in Las Vegas. We have indoor and outdoor dining available! If you can’t take the Vegas heat then choose to sit in our large, open dining area where you’ll be surrounded by our one of a kind bar. We also have a great patio for those who choose to dine outside! We have the perfect location so your commute is never long. Our staff is fast and friendly and we pride ourselves on100% customer satisfaction. We have the accommodations for the single diner or for a family that chooses us as their place to enjoy their family meal together. Not sure what to order? We have our entire menu listed on our website for your viewing. 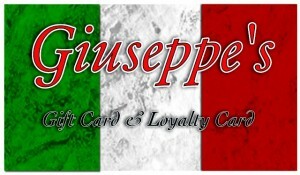 Come into Giuseppe’s Bar & Grill to enjoy great food or catch the latest game. If you have any questions about our menu please do not hesitate to contact us. We look forward to serving you!